1In the days when the judges ruled, there was a famine in the land, and a man from Bethlehem in Judah, together with his wife and two sons, went to live for a while in the country of Moab. 2The man's name was Elimelech, his wife's name Naomi, and the names of his two sons were Mahlon and Kilion. They were Ephrathites from Bethlehem, Judah. And they went to Moab and lived there. 3Now Elimelech, Naomi's husband, died, and she was left with her two sons. 5both Mahlon and Kilion also died, and Naomi was left without her two sons and her husband. 6When she heard in Moab that the LORD had come to the aid of his people by providing food for them, Naomi and her daughters-in-law prepared to return home from there. 7With her two daughters-in-law she left the place where she had been living and set out on the road that would take them back to the land of Judah. 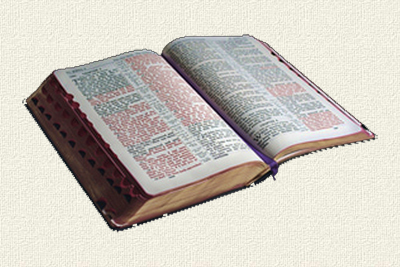 8Then Naomi said to her two daughters-in-law, "Go back, each of you, to your mother's home. May the LORD show kindness to you, as you have shown to your dead and to me. 10and said to her, "We will go back with you to your people." 11But Naomi said, "Return home, my daughters. Why would you come with me? Am I going to have any more sons, who could become your husbands? 13would you wait until they grew up? Would you remain unmarried for them? No, my daughters. It is more bitter for me than for you, because the LORD'S hand has gone out against me!" 14At this they wept again. Then Orpah kissed her mother-in-law good-by, but Ruth clung to her. 15"Look," said Naomi, "your sister-in-law is going back to her people and her gods. Go back with her." 16But Ruth replied, "Don't urge me to leave you or to turn back from you. Where you go I will go, and where you stay I will stay. Your people will be my people and your God my God. 17Where you die I will die, and there I will be buried. May the LORD deal with me, be it ever so severely, if anything but death separates you and me." 18When Naomi realized that Ruth was determined to go with her, she stopped urging her. 19So the two women went on until they came to Bethlehem. When they arrived in Bethlehem, the whole town was stirred because of them, and the women exclaimed, "Can this be Naomi?" 20"Don't call me Naomi," she told them. "Call me Mara, because the Almighty has made my life very bitter. 21I went away full, but the LORD has brought me back empty. Why call me Naomi? The LORD has afflicted me; the Almighty has brought misfortune upon me." 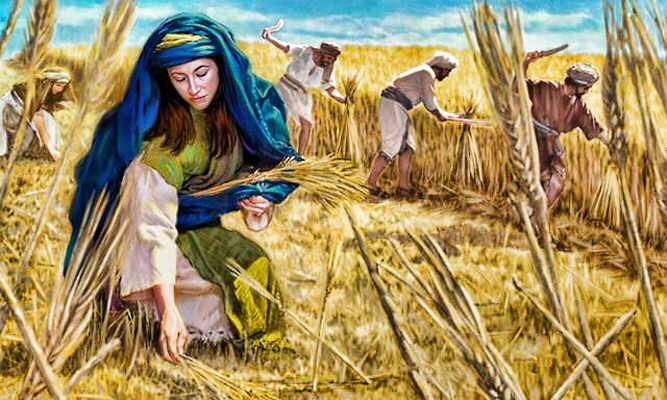 22So Naomi returned from Moab accompanied by Ruth the Moabitess, her daughter-in-law, arriving in Bethlehem as the barley harvest was beginning. 1Now Naomi had a relative on her husband’s side, from the clan of Elimelech, a man of standing, whose name was Boaz. 3So she went out and began to glean in the fields behind the harvesters. As it turned out, she found herself working in a field belonging to Boaz, who was from the clan of Elimelech. 4Just then Boaz arrived from Bethlehem and greeted the harvesters, “The LORD be with you!” “The LORD bless you!” they called back. 6The foreman replied, “She is the Moabitess who came back from Moab with Naomi. 8So Boaz said to Ruth, “My daughter, listen to me. Don’t go and glean in another field and don’t go away from here. Stay here with my servant girls. 11Boaz replied, “I’ve been told all about what you have done for your mother-in-law since the death of your husband—how you left your father and mother and your homeland and came to live with a people you did not know before. 14At mealtime Boaz said to her, “Come over here. Have some bread and dip it in the wine vinegar.” When she sat down with the harvesters, he offered her some roasted grain. She ate all she wanted and had some left over. 15As she got up to glean, Boaz gave orders to his men, “Even if she gathers among the sheaves, don’t embarrass her. 17So Ruth gleaned in the field until evening. Then she threshed the barley she had gathered, and it amounted to about an ephah. 18She carried it back to town, and her mother-in-law saw how much she had gathered. Ruth also brought out and gave her what she had left over after she had eaten enough. 19Her mother-in-law asked her, “Where did you glean today? Where did you work? Blessed be the man who took notice of you!” Then Ruth told her mother-in-law about the one at whose place she had been working. “The name of the man I worked with today is Boaz,” she said. 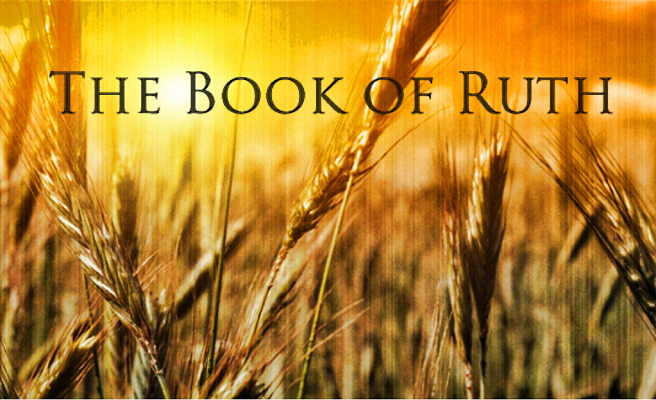 23So Ruth stayed close to the servant girls of Boaz to glean until the barley and wheat harvests were finished. And she lived with her mother-in-law. 1One day Naomi her mother-in-law said to her, “My daughter, should I not try to find a home for you, where you will be well provided for? 2Is not Boaz, with whose servant girls you have been, a kinsman of ours? Tonight he will be winnowing barley on the threshing floor. 3Wash and perfume yourself, and put on your best clothes. Then go down to the threshing floor, but don’t let him know you are there until he has finished eating and drinking. 5“I will do whatever you say,” Ruth answered. 6So she went down to the threshing floor and did everything her mother-in-law told her to do. 7When Boaz had finished eating and drinking and was in good spirits, he went over to lie down at the far end of the grain pile. Ruth approached quietly, uncovered his feet and lay down. 8In the middle of the night something startled the man, and he turned and discovered a woman lying at his feet. 10“The LORD bless you, my daughter,” he replied. “This kindness is greater than that which you showed earlier: You have not run after the younger men, whether rich or poor. 11And now, my daughter, don’t be afraid. I will do for you all you ask. All my fellow townsmen know that you are a woman of noble character. 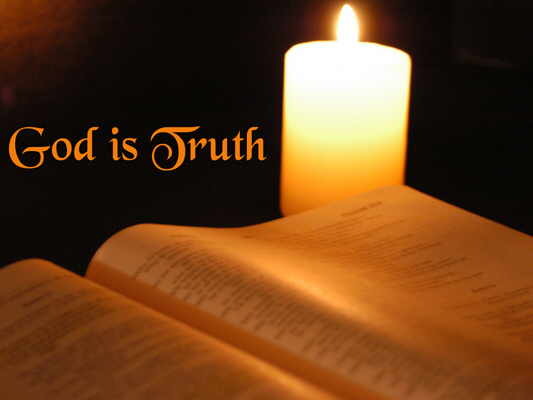 12Although it is true that I am near of kin, there is a kinsman-redeemer nearer than I. 15He also said, “Bring me the shawl you are wearing and hold it out.” When she did so, he poured into it six measures of barley and put it on her. Then he went back to town. 1Meanwhile Boaz went up to the town gate and sat there. When the kinsman-redeemer he had mentioned came along, Boaz said, “Come over here, my friend, and sit down.” So he went over and sat down. 2Boaz took ten of the elders of the town and said, “Sit here,” and they did so. 3Then he said to the kinsman-redeemer, “Naomi, who has come back from Moab, is selling the piece of land that belonged to our brother Elimelech. 4I thought I should bring the matter to your attention and suggest that you buy it in the presence of these seated here and in the presence of the elders of my people. If you will redeem it, do so. But if you will not, tell me, so I will know. For no one has the right to do it except you, and I am next in line.” “I will redeem it,” he said. 8So the kinsman-redeemer said to Boaz, “Buy it yourself.” And he removed his sandal. 9Then Boaz announced to the elders and all the people, “Today you are witnesses that I have bought from Naomi all the property of Elimelech, Kilion and Mahlon. 11Then the elders and all those at the gate said, “We are witnesses. May the LORD make the woman who is coming into your home like Rachel and Leah, who together built up the house of Israel. May you have standing in Ephrathah and be famous in Bethlehem. 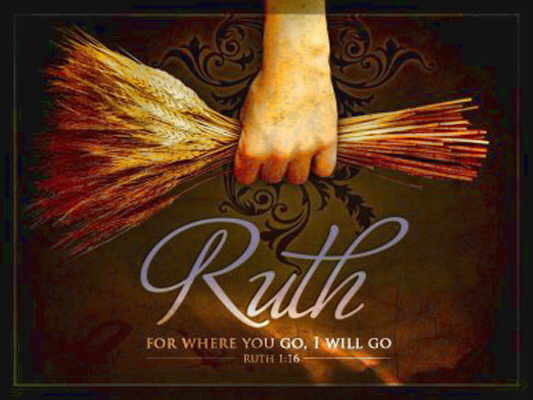 13So Boaz took Ruth and she became his wife. Then he went to her, and the LORD enabled her to conceive, and she gave birth to a son. 14The women said to Naomi: “Praise be to the LORD, who this day has not left you without a kinsman-redeemer. May he become famous throughout Israel! 16Then Naomi took the child, laid him in her lap and cared for him. 17The women living there said, “Naomi has a son.” And they named him Obed. He was the father of Jesse, the father of David. 22Obed the father of Jesse, and Jesse the father of David.